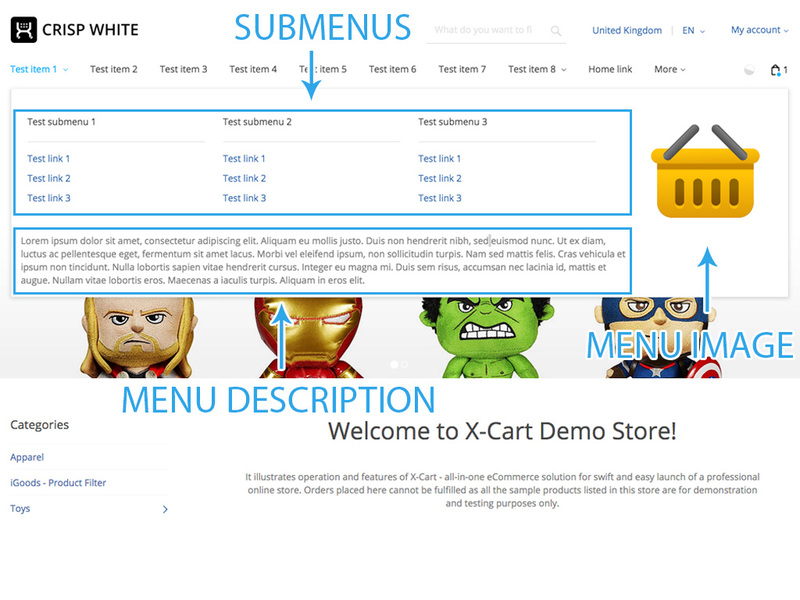 This module adds the multiple drop-down menu functionality for the header tab menu. 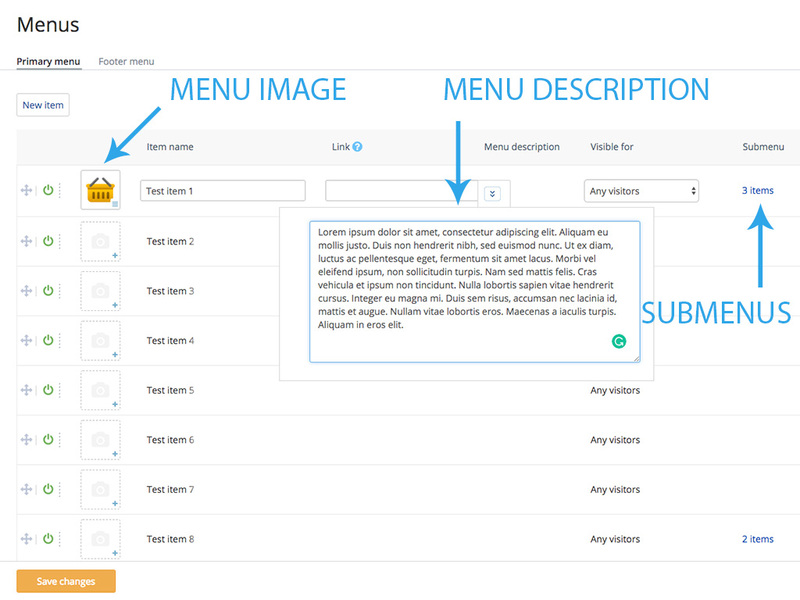 Add images, text, links to Menu description. Format the text to your taste. Module layout is adapted for the Bootstrap engine so it looks and works fine on tablets and smartphones too.